There’s a good chance you’ve heard the expression, you are what you eat. The food you eat affects everything from your physical well-being to your mental health and brain function. So, it’s no surprise that there are foods for nerve health. Heart disease, poor blood sugar levels, diabetes, brain health, trans fats, free radicals, high-fat diet, low-fat diet… there are countless words and phrases linked to food and health but not many would associate food with a healthy nervous system. 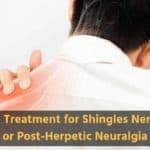 Whether you’ve suffered an injury or are fighting an illness like shingles, when you have nerve pain, you know how crippling it can be. 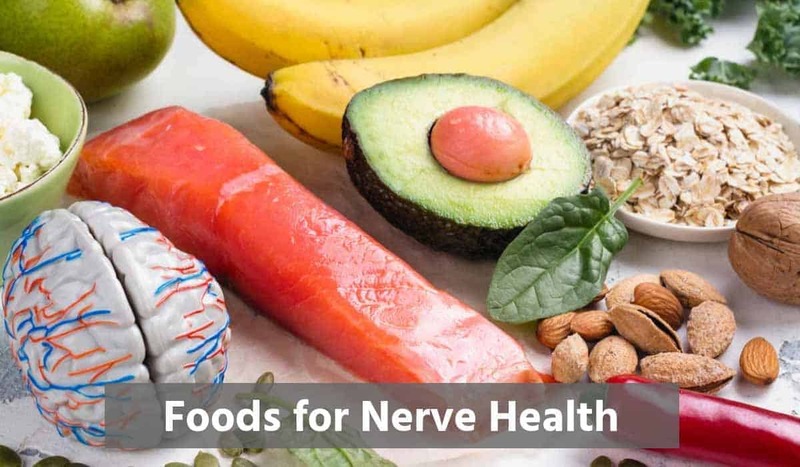 Luckily, there is something you can start doing right now to get a handle on your nerve pain—and that’s changing how you eat with a healthy diet. We’re going to dive into the best foods for nerve health, as well as what you want to avoid. Here are a few healthy diet tips to keep in mind. First, a lot of artificial sweeteners and preservatives have been linked directly to fibromyalgia and seizures. Try to avoid fake dyes, preservatives, or anything that doesn’t occur naturally. Another thing to remember is that, when you heat or cook your food, nearly half of the nutritional value is thrown out the window. All the vitamins and protein get cooked out of your food so you want to try and eat as raw as you can. Finally, try and get as much as vitamin C as possible. This is a super vitamin because it does everything from strengthening your immune system to cutting back on nerve pain. Plus, it can even help repair any nerves that have been damaged, cut back on the aging process, boost your metabolism, and reduce your risk of developing certain kinds of autoimmune diseases. Needless to say, you’ll want to pick foods that are high in vitamin C. The question is, what kinds of foods are packed with it? You’ll find high amounts of vitamin C in bell peppers, sweet peppers, and hot peppers, spinach, thyme, parsley, papayas, kale, mustard greens, spinach, and garden cress. Cauliflower, broccoli, grapefruit, Brussels sprouts, oranges, limes, lemons, cherries, black currants, melon, kiwi, strawberries, blueberries, cranberries, tomatoes, and blackberries are also all full of vitamin C.
Next, make sure to check out foods that are high in omega-3 fatty acids. These not only cut back on inflammation throughout your entire body but can help with nerve pain and work against preventing nerve damage. Plus, as an added bonus, they will also improve your overall immune system. A lot of people know one food that is high in omega-3 fatty acids: salmon. That’s true, of course, but there are also plenty of other foods, too. These include tuna, halibut, flaxseed, chia seeds, fish broth, basil, eggs, oregano, broccoli, spinach, Brussels sprouts, olive oil, nuts, tofu, green beans, kale, cabbage, and strawberries. Surprisingly, a lot of people have a vitamin B12 deficiency without even knowing it. Not only is this a pretty common illness, but it can also contribute to nerve pain. And your nervous system needs vitamin B12 in order to be able to function properly. You can find vitamin B12 in foods like beets, fish, shellfish, milk, eggs, some dairy products, poultry, and meat. However, in order to avoid other reactions, try to buy farm-raised eggs, dairy products, and meat when you can. Are you seeing a pattern here with all the vitamins and how important they are to your body? Vitamin B1 has a direct role in fueling both your muscular systems and your nervous system. What it does is this is fairly straightforward.It takes your carbs and turns them into energy that your nervous system uses. However, only a small part of the vitamin B1 we consume actually makes its way into our system. Therefore, it’s always a good plan to take a supplement on top of eating foods high in vitamin B1.Most of us don’t get enough B1. You’ll find it in foods like lentils, green peas, navy beans, black beans, and sunflower seeds. Vitamin B6 is a key player because your body needs it in order to fully absorb vitamin B12. And vitamin B2 is equally important because it absorbs vitamin B6. Again, most people don’t get enough Vitamin B2. Try to increase your vitamin B2 intake by eating more spinach, soybeans, almonds, asparagus, and beet greens. Just about everyone knows how good antioxidants are for you but that doesn’t mean we all get enough of them. Antioxidants are incredibly powerful because they work to cut back on any damage done to the myelin sheath in your body. They also have the power to cut back on any neuropathic pain. Therefore, you’ll want to eat your fair share. These are easier to find and more enjoyable. You’ll want to eat more blueberries, beans, fish, walnuts and dark leafy vegetables. Try to get at least two servings of antioxidants a day. We have all heard it time and time again but the importance of drinking enough water cannot be stressed enough. Water is what your body needs to perform at its best. Aim to drink as much water as you can every day. You can keep track of how much you drink by putting rubber bands on your glass. As you finish a glass, take off a rubber band. It’s no secret how great ginger is for you. However, did you know that ginger is considered a pain reliever? Ginger has been proven to cut back on pain because of the anti-inflammatory compounds it has (called gingerols). Luckily, it’s easy to add ginger into your everyday life. All you have to do is grate some fresh ginger into your dinner or even into hot water for tea. No matter how you decide to treat your nerve pain, there’s one thing you can start doing today, and that’s taking control of your diet. 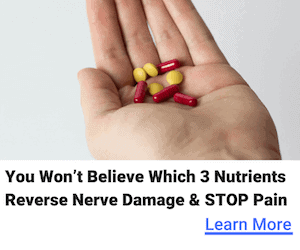 On top of your diet and supplement changes, you may also want to try a neuropathy supplement, such as Nerve Renew by Neuropathy Treatment Group. This natural blend of proprietary ingredients is a great way to get a leg up on your nerve pain once and for all.